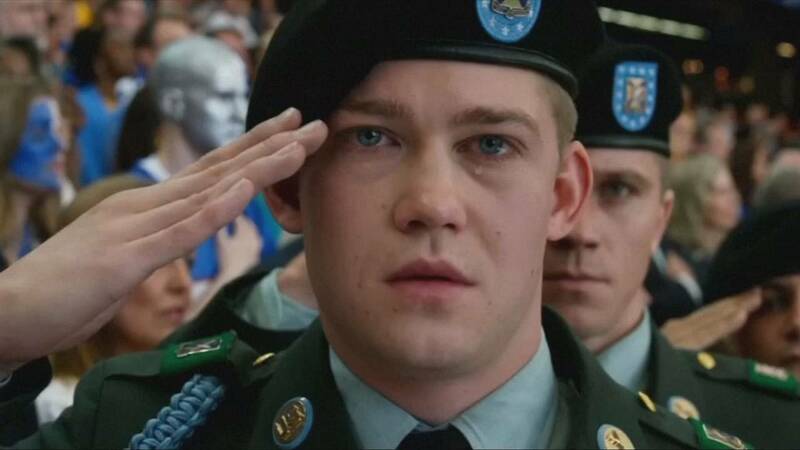 Ben Fountain’s satirical first novel, 2012’s “Billy Lynn’s Long Halftime Walk,” has raced to the silver screen, directed by Ang Lee no less. Shot in a new 120 frames-per-second format, 3D 4K, only two out of the more than 1,700 cinemas on release could show it properly. Sony were then faced with negative media after its October premiere in New York, and only just over a million dollars in first-week US box office. Nineteen-year-old Billy is in Bravo Squad, thrown into Iraq then plucked out of it for a US victory tour after the group is involved in a fierce battle. Kristen Stewart and Joe Alwyn star, and the format added to the hyper-reality of certain sequences makes the movie an occasionally startling experience, even in an unadapted cinema or basic 3D. Alwyn realised the format also meant actors will have to bring their A-game in future. “You can just see the complexion of someone’s skin, you can see the layers, you can see into their eyes. So I just had to be there and if you weren’t getting it Ang Lee would be blunt and tell you. The movie may recover on its global sales as it rolls out, unless Sony fail to push it, but this is a bomb for a film with such high expectations. Europe’s major markets will have to wait until early next year to see it.